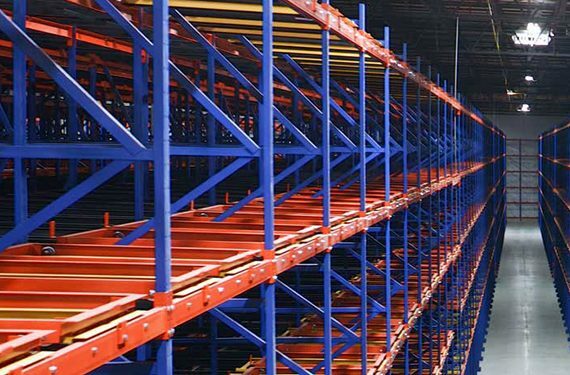 Even though the wheeled carts in industrial pushback racking storage systems are designed to travel smoothly backward and forward from the point of pallet insertion and removal, jams can sometimes occur. 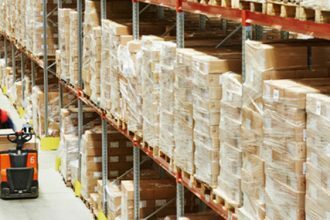 Common causes of hang-ups include improper loading of pallets, broken pallet boards, or overhanging items in the load (slip sheets, carton flaps, loose stretch wrap, improperly stacked cartons, or boxes that have been jarred out of position). 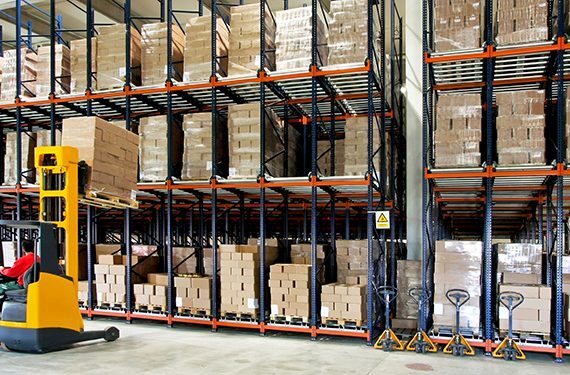 To safely un-stick a pallet in a pushback lane, there are several approaches—and none of them involve an operator climbing in front of a live, loaded pushback system, which has a high potential of injury. 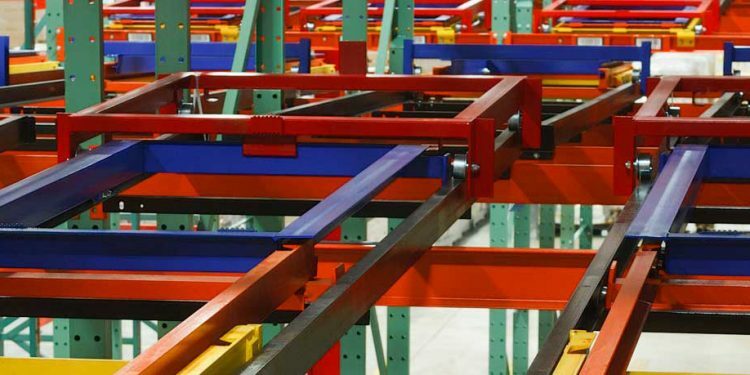 Only use the types of pallets for which the system has been designed. Do not place pallets whose loads have not been stretch wrapped or unitized into the pushback system. Carefully inspect each load prior to placement in the pushback lane to ensure proper unitization and no product, slip sheet or stretch wrap overhang. Do not place damaged pallets or those with broken, split or cracked bottom boards, or exposed fasteners into the system. Always control the speed of the load with the forklift when inserting and removing a pallet. 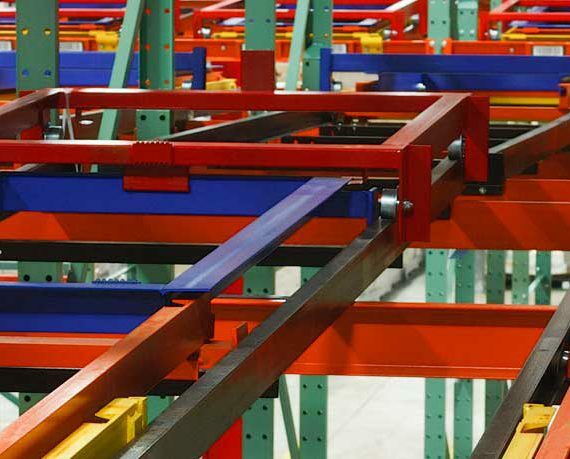 This prevents pallets from advancing too fast and potentially colliding with each other or the front of the system. Such impacts can prompt boxes to come loose and fall, creating a jam. 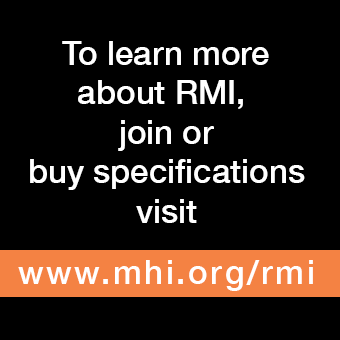 Do not mix load weights within a single lane, as it increases the potential for a heavier pallet to push a lighter one out of alignment or out of the system. Do not side-shift a pallet resting on a pushback cart; doing so will likely knock the cart out of alignment and off the rail. 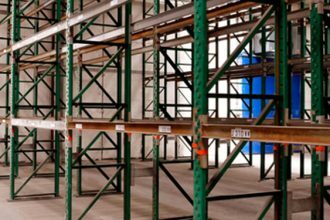 Periodically inspect the system’s carts and rails to ensure all components are intact and that any debris or other material is removed. If, after following all the aforementioned best practices in preventing hang-ups, a jam still occurs, these are the recommended steps for clearing the lane. Operators should never climb into a live pushback lane to attempt to clear a stuck pallet, as the risk of a serious injury is high. Instead, all pallets from an adjacent pushback lane should be removed first. A forklift should be positioned to hold the jammed lane in position. The adjacent—now empty—lane must be secured with tie-offs, after which an operator can enter it on a man-lift to ascertain the cause of the hang-up. From the adjacent empty lane, the stuck load can be freed from the side. 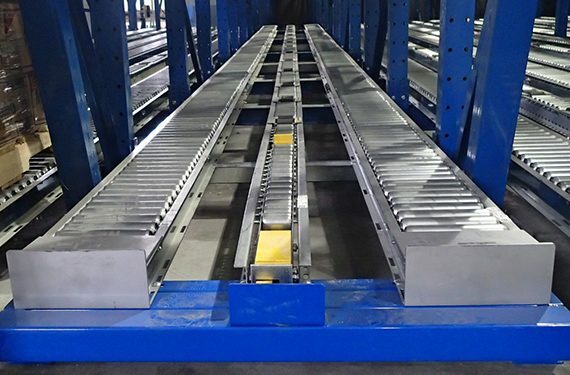 If it is not possible to easily clear the obstruction, unload the pallet from the side to remove the weight of the load before releasing the blockage and removing the pallet.